Preheat grill or oven to 400*. Rub a little oil over the peppers. Place peppers, corn, and zucchini on greased baking sheet or directly on grill grates. Roast for 15-20 minutes, until tender. Remove from oven/grill, let cool. Meanwhile whisk together olive oil, lime juice, salt and pepper in small bowl. Set aside. Cut corn off cob into large mixing bowl. 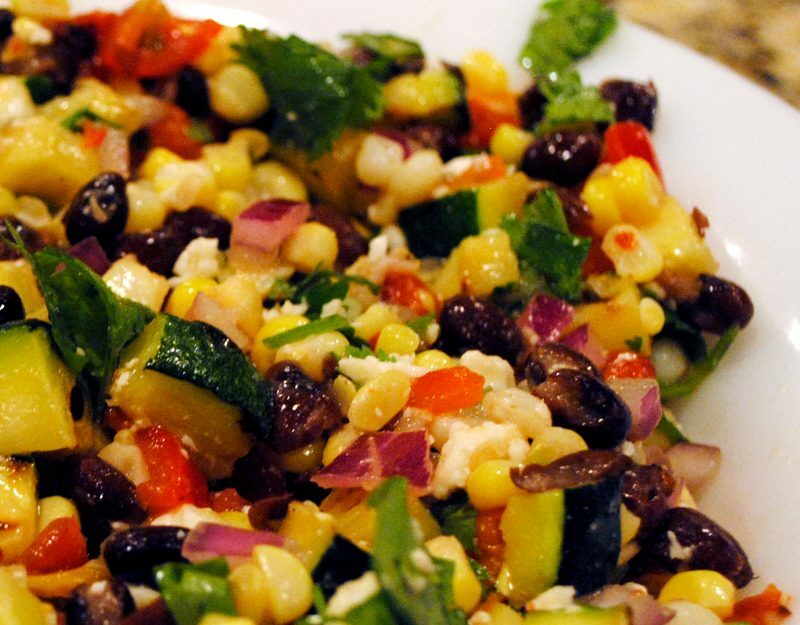 Chop peppers and zucchini into small pieces and combine with corn. Add onion, cilantro, black beans and feta. Drizzle dressing over salad, and toss. Serve warm or cold.